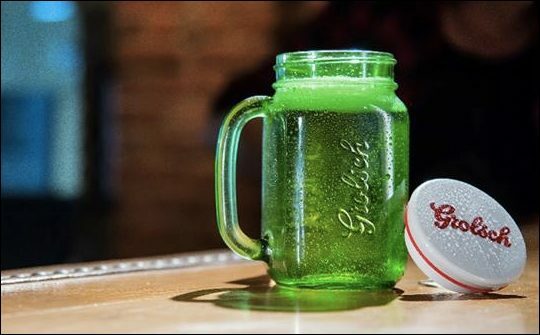 Grolsch has launched a creative new way of drinking beer in Romania – The Jar. The launch of The Jar is well-timed, building on the popularity of mason-jar presentation in trendy bars and cafes. The Jar elevates Grolsch’s beer to a premium, craft drinking experience for consumers and I can see consumers in other markets clamouring to get their hands on this novel design. Consumers are more likely to retain and re-use innovative product packaging like The Jar, adopting the stylish, unique design into their glassware. Such designs also drive repeat purchases and bulk-buys as consumers look to collect a set for their cupboards. Grolsch’s The Jar will boost brand loyalty long-term. Consumers feel more connected to brands that have a presence in their home, with novel branded glassware acting as a memory aid and thirst generator. Canadean's data shows that lager drinkers are on the lookout for new experiences, with this desire prompting almost 14% of consumption in the lager market. Products that can offer something unique to consumers will experience success, whether this is by flavour innovation or novel packaging. There is a real growth opportunity for brands which can offer consumers a drink that is also a conversation starter. With consumers spending US$40 billion a year on beer that offers new experiences, the market is ripe to target.